How risky is it to be a medical tourist? Ian Youngman analyses a new global risk travel map and says that businesses and organisations that arrange medical travel, including transport between airports and hospitals, need to be aware of the wider safety and liability risks. Some travel agencies have found, to their financial and reputational cost, that sending customers to an ‘unsafe’ hotel or location can be disastrous. Added to this is the temptation by some destinations, driven by the chase for inbound tourists, to ‘gloss over’ safety factors for customers. When trouble happens, destination spokespeople either pretend the situation is normal and unchanged, or are noticeably absent when the media starts asking awkward questions. Organisations, including those in the medical travel sector, need to appreciate that the customer perception of 'safe' or ‘unsafe’ may differ from reality. A potential international patient will not believe a spokesperson claiming that a city is safe, if they have just watched footage of gunmen running amok through a hospital with patients fleeing for their lives (a true story). With all credibility gone, it is then much harder, and it takes much longer to rebuild a reputation for safety. Medical tourism destinations and travel organisations need to find ways to protect and reassure customers, and if necessary be strong enough to advise them to stay away for a while. Given this context, any organisation sending medical or health travellers on trips abroad, needs to be aware of and keep up to date with the wider political, health, legal and other risks in regions and countries. International SOS and Control Risks have launched the latest edition of the ‘Travel Risk Map’ for 2019, which reveals the latest medical, road safety and security risk ratings of destinations worldwide. Displaying each country’s medical risk rating and travel security risk rating, the result is a comprehensive interactive overview of risks by destination. Although this annually produced map on traveller safety is intended primarily for business travellers, it offers a useful overview for medical and health tourists, and medical travel agencies, when choosing a destination. The map research suggests that in 2019, travellers can feel absolutely safe in only a few countries in the world, and all of them are in Europe. According to the map, the security risk while traveling in Denmark, Finland, Greenland, Iceland, Luxembourg, Norway, Slovenia and Switzerland is irrelevant. It is worth bearing in mind at this stage that International SOS and Control Risks are two of the world’s leading risk specialists, selling security services to businesses, insurance companies and governments. This map is both a useful piece of research and a marketing tool, possibly encouraging a heightened perception of risk across countries. Their experts have, however, looked at a range of factors that represent a risk to traveller safety. This includes the political situation, potential threat of terrorist attacks, level of crime rate, fraud and social unrest, standard of medical care and road conditions. Even kidnappings, which are a danger in some regions of the world, such as Latin America, are assessed. The risk ratings are determined via a proprietary algorithm based on various indicators, with content coming from public data sources and, for the health risk ratings, the first-hand knowledge of International SOS Regional Medical Directors. The output is divided into five safety levels: irrelevant, low, medium, high and extreme. The countries deemed to have a 'very high' security risk factor include Haiti, Venezuela, Libya, Somalia, Afghanistan and North Korea. Traveling is relatively safe in the eight European countries already mentioned, and almost everywhere in Europe. The risk for EU states is classified as low. There is also a low security risk in North America, parts of South America, China, Japan, Australia and New Zealand, as well as in a few African countries such as Morocco, Senegal, Ghana, Namibia and Botswana. In many other countries in Asia, Africa and the Americas, the risk is rated as medium, high, and even extreme. Particularly dangerous are the border areas between Egypt and Israel, areas in the Gaza Strip, parts of Ukraine and the Central African Republic. Within some countries, there are regions considered much less safe than other parts of the country and this applies to Algeria, Egypt, Lebanon, Mexico, Nigeria, Pakistan, the Philippines, and Ukraine. Dangers to any traveller include epidemics and poor medical care. The Medical Risk Ratings used in the map are determined by the International SOS Medical Information and Analysis team by assessing a range of health risks and mitigating factors including: infectious diseases, environmental factors, medical evacuation data, the standard of available local emergency medical and dental care, access to quality pharmaceutical supplies, and cultural, language or administrative barriers. According to the analysis, the greatest health risks are in Africa, where medical care in many countries in this continent is still unavailable, especially outside the capitals. Iraq, Syria and Afghanistan are among the countries with the highest health risk, as well as North Korea, Haiti and Venezuela. Europe, North America and Australia are considered relatively safe. Road safety risk is assessed on the quality of the roads across destinations and whether special laws, such as seat belt, speed limit or alcohol/drug ban at the wheel, are applied. Other considerations are badly maintained vehicles, poor adherence to basic road laws, lack of signage, and potential exposure to opportunistic crime or car jackings. The Travel Risk Map shows the highest risk in road traffic exists in a large part of the African states, in Saudi Arabia, in Oman, in Iran, in Kazakhstan, Thailand and Vietnam as well as in the Dominican Republic. It is also more dangerous on the roads of Russia, China, Mongolia, Malaysia and Myanmar, and the risk is high in Brazil, Bolivia, Paraguay, Ecuador, Guatemala, and several other states in Africa and the Middle East. Across Europe, in the North American countries and Australia the risk is rated as low. Other organisations have researched road safety in countries, including the World Health Organisation, which reveals the top 10 most dangerous nations to drive in as Eritrea, Dominican Republic, Libya, Thailand, Venezuela, Nigeria, South Africa, Iraq, Guinea-Bissau and Oman. Ground transportation certainly presents complexities and challenges, but organisations need to understand how to overcome these. With the rapid growth in the number of ground transportation options, particularly the use of ride-hailing services, it can be a complicated minefield to navigate. There are wide-ranging implications from safety and security, to legal and financial considerations. 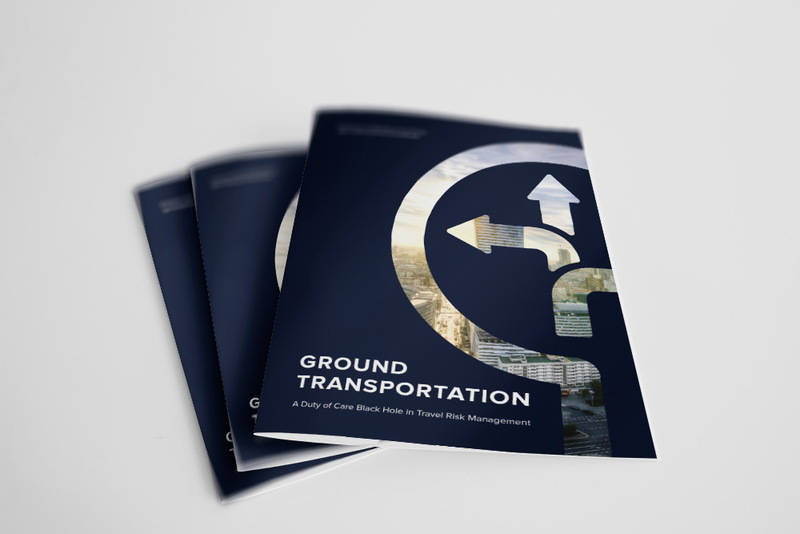 Ground transportation is often an integral part of every trip yet is the part of the journey that can pose the greatest threat to travellers and is something that companies need to take serious steps to address. Map your country risk profile with the Travel Risk Map. Will TCM move centre stage in global health tourism? Special Offer: This new report discusses the dynamics of medical tourism and looks at the supply chain, business models, products and the consumer. This new report discusses the dynamics of medical tourism and looks at the supply chain, business models, products and the consumer. Wellness tourism is worth US$639bn, but what do these figures include? Anti-Tourism – did you predict THIS trend? UK’s Cornwall is discouraging tourists to two of its beaches this summer. Predicting medical travel trends is also dangerous. What happens to EU/EFTA citizens in the UK after Brexit? Do you know about the EU Package Travel Directive? Is tele-surgery a threat to medical tourism? Will Brexit damage UK medical tourism? Refuting the claims of a "medical tourism expert"
Where have all the national and regional associations gone? Medical tourism in 2016: What has changed? There are more opportunities than ever for insurers and brokers to sell health insurance globally to locals and expatriates. "Uninsured Americans"... Fact or fiction? How will tourism fare in 2016? Does Zika pose a threat to medical tourism? 2016: A lost year for medical tourism in Turkey? A Gulf of medical tourism? How is the falling oil price affecting medical tourism in the Middle East? This report provides insight into the National Health Systems of over 180 countries, and what their future plans are on a simple country-by-country basis. Is Asia getting it wrong? Medical tourism is not global: Are asian hospitals targeting the wrong markets? Targeting medical tourists... demographics are dead...adapt or perish! Who are your nearest competitors in inbound health and medical tourism? How do you know who is telling the truth? What will 2015 bring for medical tourism? This regional report provides up to date detail from recent research. What threat does Ebola pose to medical tourism? Does medical tourism benefit countries? Is medical tourism's growth based on hope or reality? Comparison sites, a threat or opportunity? Is the customer really looking for the cheapest surgery? Why isn't medical travel insured? How do medical tourist make decisions about destinations? Is medical tourism making the most of social media? Are small industries a bad thing? Is medical tourism still a pioneer, or merely a bandwagon? What economies are booming in the medical tourism industries? Just what is accreditation in medical tourism and does it help your business? International Americans have not arrived, but what about domestic travel? Are certification and accreditation useful guides for a service's quality? Is medical tourism a "Field of Dreams"? 94 dead in a major fire, what does this mean for India's medical tourism industry? Is medical tourism behind the curve? Is outbound tourism from the UK recovering? The medical tourism world is shrinking, but is this good news? How will health insurers adapt to medical tourism? A new global industry has sprung up, as have many before, what can we learn? Medical tourism industries live and die on their press, but how good is the news ? Will the boss pick up the bill? Where do Americans go abroad? Do we have any idea how many Americans would travel abroad for treatment? How many American medical tourists? Albania - a medical travel opportunity?